‘Tis the season for getting ready for the holidays and that includes buying gifts for those special people on your list. 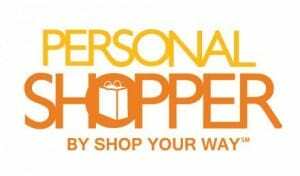 Now is a great time to sign up to be a Personal Shopper by Shop Your Way. With Black Friday almost here, people are going to be on the hunt for those amazing Black Friday deals and you can help them with their purchase decisions. As a bonus, you can earn some extra holiday cash! It’s completely free to sign up as a Personal Shopper. After you become one, you can invite your family and friends and help them save time and money by recommending products you think they will love. You can find out what they are looking for and create personalized catalogs. Also, you can create polls to find out what people are looking for and then tailor your recommendations around the results. So what is in it for you as a Personal Shopper? Besides the satisfaction of helping out friends & family, you will also be earning a 1% commission on all qualifying purchases made by your clients. If you have 20 or more clients, you will earn an additional 1% on their purchases if they use their SHOP YOUR WAY rewards card when making their purchase either in the store or online. Sears pays out commissions once a month via cheque on the 15th of the month on accounts that have $20 or more. If you have less than $20, your balance will carry forward to the next month. Check out this informative brochure to learn everything you need to know about becoming a Personal Shopper with Shop Your Way. Gadgets are hot ticket item this year especially for the men on my holiday list! 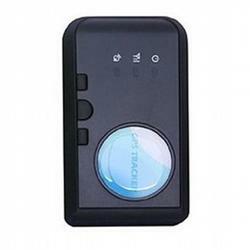 I found a few products that I think John would really love like this Mini Gadgets Conan No Fee GPS. What deals will you be looking for on Black Friday? I was financially compensated by Sears for this post. Opinions expressed are 100% my own. I have never heard of this before. Sounds like a way to make some extra money. WIth Black Friday upon on shortly we need to be ready. I usually look for toys or things for the grandkids mostly. Its nice that Sears pass the commissions and carries them over to the next month. Its all free to sign up for . My daughter would be good at this. We all go to her to research products and make recommendations. She has already helped me with several purchases and warned me that Black Friday is going to have to be well planned since places are starting earlier and having different deals at different times. A lot of people need help with thei shopping. This is a great idea for all involved. Cool way to make extra money! Can’t someone in US win sleepytime canister. I drink it every evening!!! I haven’t heard of this before either. But it sounds interesting. My sister would make a great personal shopper and I’m going to pass the info onto her. Believe me when I say she is the “Queen of Shopping”. I think it’s a great opportunity for maybe a SAHM to earn some extra bucks whilst doing something she likes!